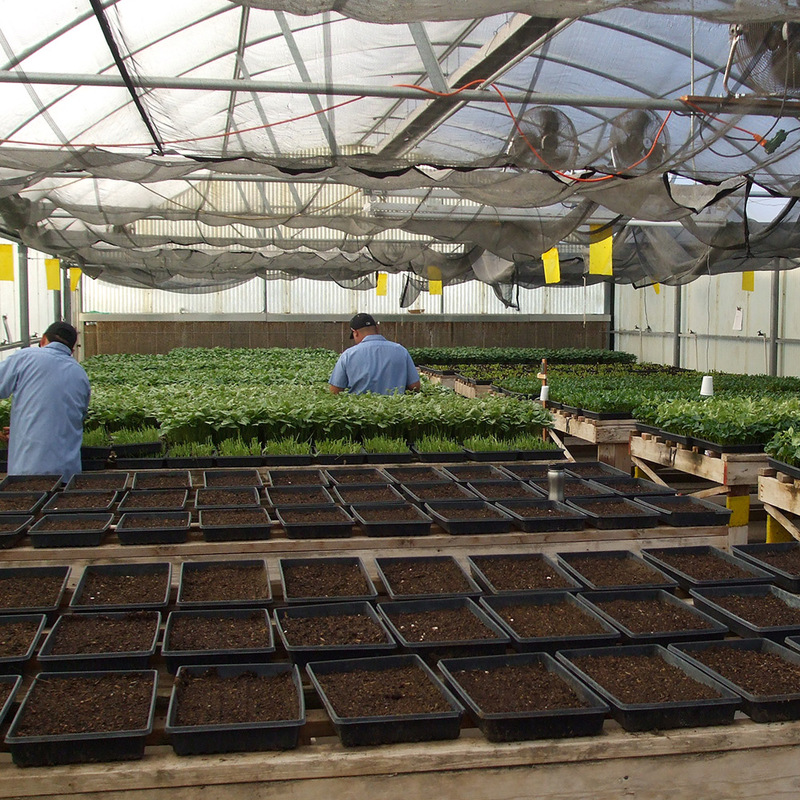 Control of Spider Mites on a Variety of Plants Associates Insectary raises and sells tens of millions of this highly effective mite each year. Associates Insectary hand raises millions of these predatory mites each month by feeding them actual pest mite eggs, not an artificial food source. This expensive and labor intensive practice maintains a strong hunting instinct in our colony and provides a naturally balanced diet for them. The Californicus mite (Neoseiulus californicus) is a predatory mite valued for its ability to consume large quantities of pest mite eggs, while still surviving in the field when its primary host mite becomes scarce and other more popular species would die out. Besides consuming large quantities of Two-spotted mites (T. urtica) and Pacific mites (T. pacificus), Californicus mites are prized by California berry growers for their voracious appetite for Lewis mites (Eotetranychus lewisi)(McGregor). 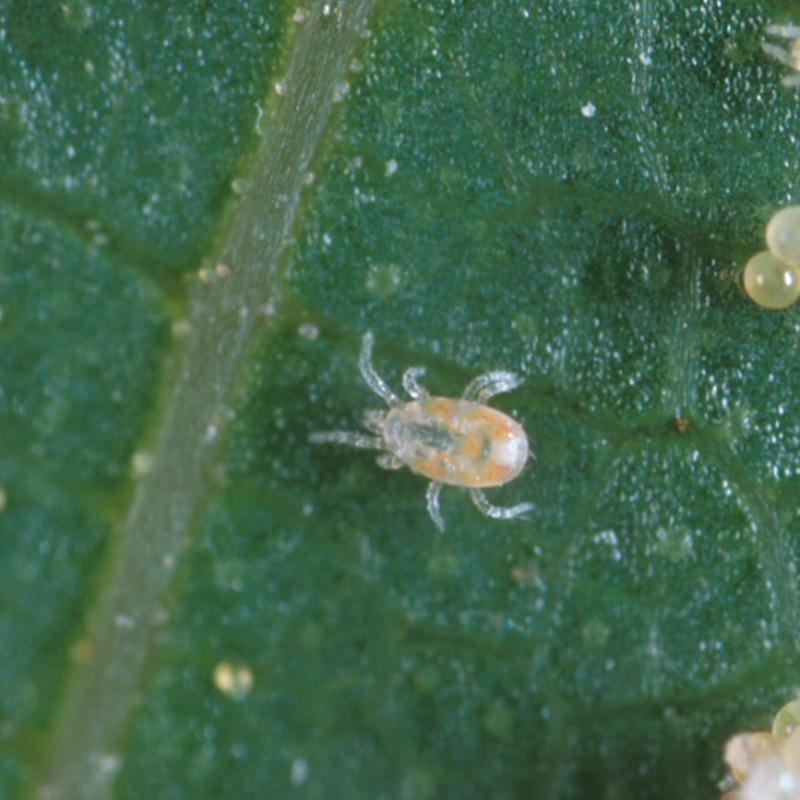 Besides californicus mites use in field crops, producers of roses and many different ornamentals use californicus mites to suppress mites on their horticultural crops. Our californicus mite is also an excellent control agent for use against Broad mite (Polyphagotarsonemus latus) in many different horticultural situations. Effective ACP Predator? The predatory skills of californicus mites, along with other predatory species, appear to be playing a key role in increasing the mortality rates of Asian citrus psyllid (ACP) infestations. 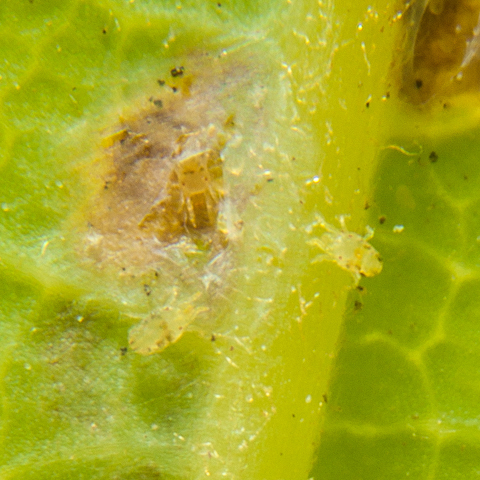 University studies are revealing that predatory mites are decimating ACP eggs in many Southern California locations being monitored. This new information means that californicus mites could become another tool in the fight against urban ACP populations and in abandoned citrus groves. Control of Avocado Persea Mite The Persea mite is a pest in many avocado groves during the late summer and fall each year. High levels of Persea mites can cause premature leaf drop. This unwanted defoliation contributes to sunburned fruit, bark and stems and leads to stressed trees. This stress causes crop loss from aborted fruit which reduces yields. Early identification of Persea mite damage on avocado trees is important. It can be easily confused with that inflicted by Six-spotted mites in the spring. Damage from Six-spotted mites generally appears in irregular brown-purplish blotches adjacent to veins, while Persea mites tend to feed along the lower leaf surface, leaving more circular patches. 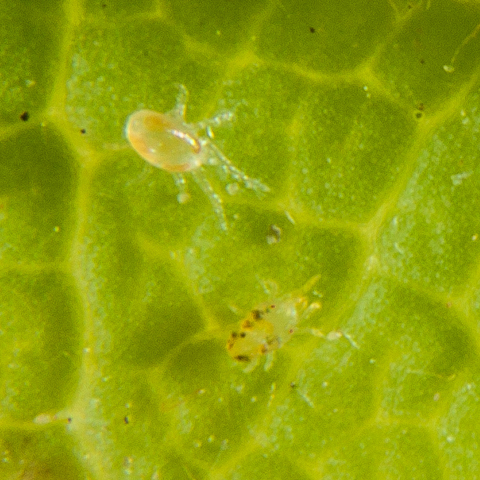 University experiments have shown that N. californicus is a very efficient predator of Persea mites foraging on the leaves. 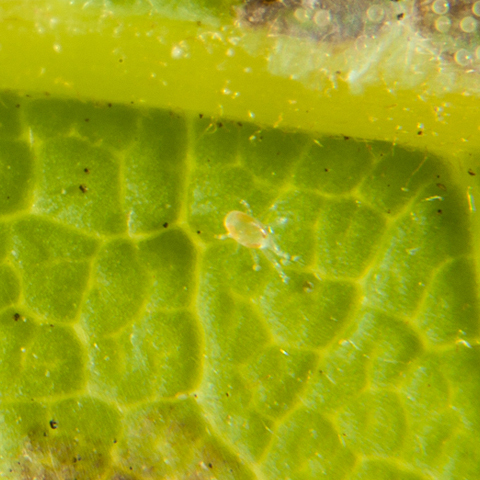 Californicus mites will spend considerable time searching for young Persea mites who have left the safety of the nest and are exposed on the surface of the leaf. 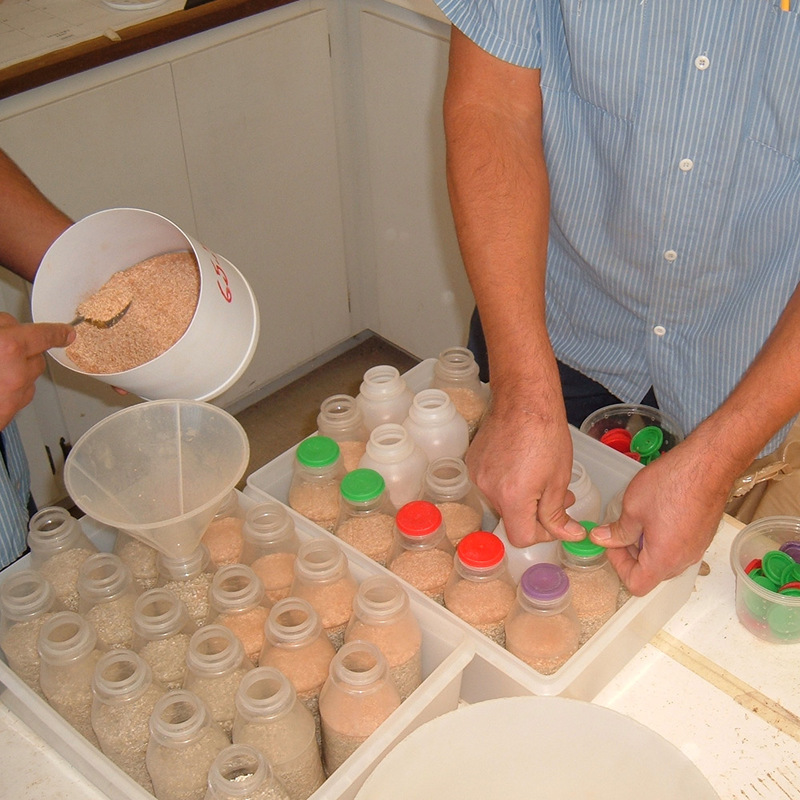 Tens of thousands of californicus mites per acre are released in our Members’ groves each year.